For the second consecutive year, Mazda has been awarded the prestigious Wheels Car of the Year, with Brand-New Mazda CX-9 taking out the 2017 award. 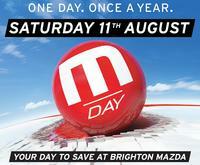 The recognition follows the Mazda MX-5 which took out its third Wheels Car of the Year when it won last year. As the first Japanese manufacturer to win consecutive Wheels Car of the Year trophies, Mazda is the fourth manufacturer to win back-to-back awards, and only the second to achieve this rare feat since the late 1960s. The Brand-New Mazda CX-9 arrived in showrooms last July and became an instant sales success with buyers engaged by its stylish design, premium interior, the fuel efficient 2.5 litre direct-injection turbo charged petrol engine, the range of i-ACTIVSENSE safety technologies and its quiet drive. “The Mazda CX-9 stood out throughout the entire Wheels Car of the Year judging week” said Wheels magazine acting editor Alex Inwood. “In many ways you could regard this as a win for democratic motoring because this is a car that proves that you don’t need to spend a lot of money to get great levels of luxury, refinement and ride quality. “It sets new benchmarks for quality and efficiency, and the best thing is that it’s got a level of dynamic ability that is really rare for such a big SUV. It’s a well deserved Wheels Car of the Year winner. 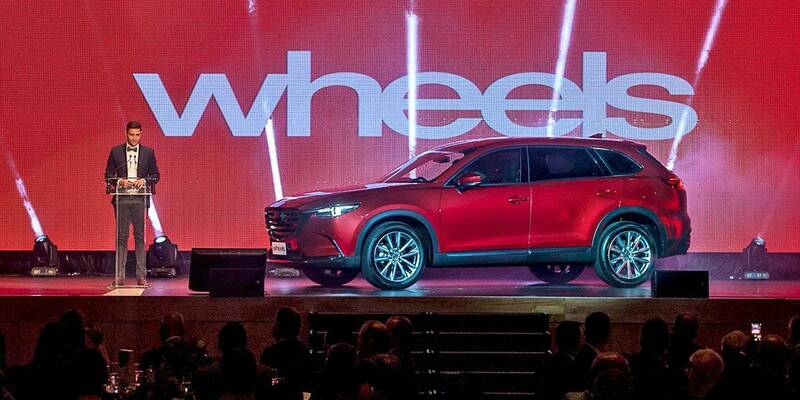 Excited with the win, the Mazda CX-9 is the first SUV to win Wheels Car of the Year since 2004. 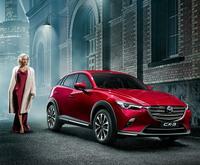 “From initial planning to its arrival on the showroom floor we were confident that the Brand-New Mazda CX-9 would appeal to family-size SUV buyers and be a success,” said Mazda Australia managing director Martin Benders. “The evolved Kodo design, the refinement in ride and handling and the exceptional performance from the all-new powertrain – all of which have been praised by the media - have quickly established the Mazda CX-9 as a worthy flagship to our CX Mazda family of SUVs. “To win with the MX-5 – our smallest passenger car – and now the Mazda CX-9 is a testament to the talented team of Mazda designers and engineers who have delivered a varied range of stylish Mazda vehicles that continue to turn heads and drive traffic into Mazda Dealerships. The Brand-New Mazda CX-9’s 2017 win takes Mazda’s Wheels Car of the Year tally to eight, having also won in 1980 (Mazda 323) , 1983 (Mazda 626) , 1989 (Mazda MX-5 NA), 1992 (Mazda 626), 2003 (Mazda RX-8), 2005 (Mazda MX-5 NC) and 2016 (Mazda MX-5 ND). 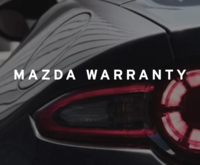 Click HERE for further information on the Mazda CX-9.